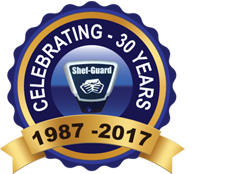 Shef-Guard have been installing electronic security equipment for OVER 25 years. we pride ourselves in neat and tidy installations with the minimum possible disruption. We have spent years building a client base which has been increased by recommendation. We believe maintaining high standards and going that extra mile is what makes our clients use us time and time again. To help maintain our high standards and to ensure that work continues to be of the quality demanded by both the Police and the Insurance Industry, our work and office procedures are regularly inspected by the SSAIB (Security Systems & Alarms Inspection Board).